In this article we will explain how a HEPA air purifier works. Then share the filter ratings system. You will see the advantages and disadvantages along with some surprising findings from our testing. Not sure what to buy? Go here to see the best air purifiers from our testing. 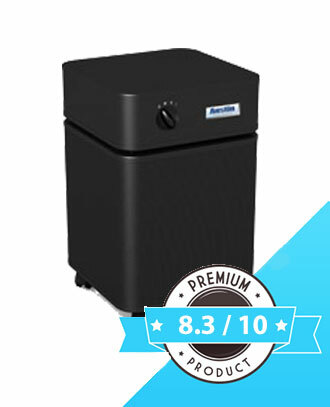 The top ranked air cleaners use HEPA filtration. At the bottom of this page is the listing of popular HEPA filter air purifiers. To begin, a HEPA air purifier is simply an air cleaner with a HEPA filter but as we see in our testing, not all HEPA filters perform the same. HEPA is an acronym that stands for High Efficiency Particulate Air. This is a pleated filter that traps airborne particles as they pass through an air purifier. A true HEPA filter removes 99.97% of all particles that are 0.3 microns in size or larger. This is known as the HEPA standard. Although, in marketing we see HEPA as a term to mean in general a high efficiency filter. Let’s start with what it means to be a true HEPA filter, how filters are measured and the purpose or use. How are HEPA filters measured? The unit of measurement for particle size is called a micron. A micron, also known as a micrometer is one millionth of a meter. As a reference point, a grain of pollen is about 5 microns. Dust mites are often sized in the 1-10 micron range although finer dust can be smaller. Most airborne particles are less than 1 microns in size and too small to be seen. Although you can see some of the larger dust particles or pet dander if the sun shining in your room is just right. The challenge with assessing air purifiers is that most particles are too small to see. It’s hard to tell how well it’s working since you can see it. That’s why we began to test different models with a particle counter. The purpose of the HEPA filter is to remove both large and small particles from the air. The light weight of the small particles allow them to suspend in the air for long periods of time. This is what you breathe into your lungs. The smaller particles cause the most problems to your respiratory system as well as allergic reactions. The larger and heavier dust type particles will settle to the ground much more quickly. They are harmless to your system. Some of the larger particles include pet hair and some pet dander. Although to get rid of all pet dander you need to remove the small airborne particles as well. For large dust, we notice many room air purifiers have a carbon pre-filter. We don’t have the tools to measure the performance of the carbon filter for the removal of gases from tobacco smoke or air pollution. Yet, the pre-filter is a good idea since it’s purpose is to catch the large dust pollen, mold spores, animal dander and other big particulates. This allows your HEPA air purification system to also remove the smallest stuff. HEPA air purifiers are the recommended air filtration method of leading government agencies. This includes American Lung Association, Department of Homeland Security and EPA. This is due to the high efficiency of the HEPA filter. Plus it’s ability to remove most of the smallest, most dangerous particles. They also have an inherent ability to improve performance over time. Recommendation. Therefore find a purification system with a high efficiency filter, good air flow and reasonable noise level. As shown in the picture above a HEPA filter has a series of pleated fibers. In many cases the fibers are made of fiberglass (glass fiber) or a polypropylene nonwoven fabric material. In some cases you will see polyester non-woven fabrics. This filter media is held together in a frame. The frames we have seen are made of either a cardboard or plastic material. Some have a rubber or foam material along edge of the filter frame or air purifier housing to prevent air from by-passing the filter. Unlike water filters like a ceramic filter, HEPA air filters are not meant to get wet. Water can damage the fibers (filter elements). A HEPA filter is a mechanical filter, meaning airborne particulates such as dust, pollen, mold spores, animal dander, pet hair, etc are captured in the fibers of the filter as the air passes through. This is why HEPA filters are also called a particulate air filter. In testing we see a performance difference. Larger HEPA filters do better. Especially when we measure in a mid to large size room. There are three ways that a HEPA filter captures particles. These are interception, impact and diffusion. Interception and inertial impaction catch the large size particles. Often, larger than 0.4 microns. Diffusion catches the particles less than 0.1 microns. A HEPA filter is measured by it’s ability to remove particles at 0.3 microns. This is the most difficult size particle to capture. It falls between the ability of interception, impact and diffusion. The filter rating system is known as MERV. MERV stands for Minimum Efficiency Rating Value. The scale ranges from a value of 1 to 18. This is a US based system. If you buy air filters for your furnace system you have come across this rating system. It is printed on the packaging. MERV 1-4 filters are simple dust filters. They filter out hair and large dust. This is the low price filter at the store. There are higher efficiency furnace filters. But they often top out at a 8 or 11. Sometimes you will see a 13. A filter at this performance level is not rated to remove the smallest particles. And this is important. The problem is the fan in your furnace system cannot push enough air through a higher efficient filter. A higher efficient filter has too much air flow resistance. This is also referred to as the pressure drop. The more pressure drop a filter has the harder it is to move air through the filter. Without enough air flow your home will not properly heat or cool. This is why room air purifiers are so popular. A room air purifier has it’s own fan to power the air through a better filter. As a result you can get the highest levels of filtration. MERV 18 is the highest rating. This is known as ULPA. Ultra low particulate air. ULPA filters are what you will find in cleanrooms where they require the air to be completely clean. A filter of this type removes the smallest particles. And with the highest efficiency. By efficiency we mean the percentage of particles. We see few air purifiers with this level of filtration. An ULPA filter is often found in commercial grade air purifiers. This is clean room level air cleaning and systems cost well over $1,000. The reason they perform better is due to the tightness of the filter fibers and having a larger filter surface area. In other words, it’s higher quality filter elements and more filter media. Other examples where you might see an ULPA filter are in Biosafety Cabinets where there is a need to protect workers from bacteria and viruses. The CDC classifies a biosafety cabinet into one of three classes based upon the level of protection provided. A true HEPA filter is a 17 – the HEPA standard. This is the most common rating for home HEPA air purifiers. A HEPA filtration system is good for all allergens. So, if you need to remove mold spores, have pet dander allergies, dust mites, pollen, or fine dust, a HEPA air filter is the best choice. 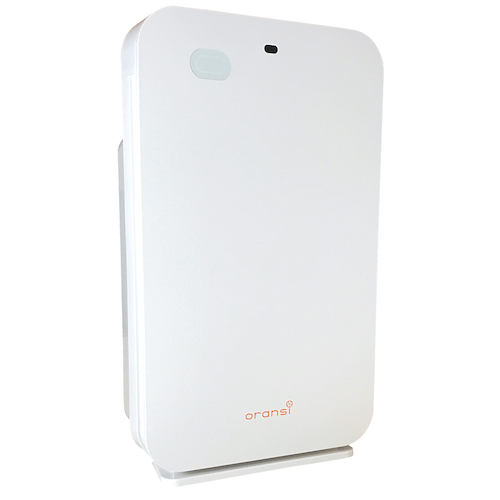 Examples are the IQAir HEPA filter and Oransi EJ air purifier. HEPA air filters were first developed as part of the Manhattan Project to protect against biological contaminants. The term was originally patented and now commonly is used to mean a high efficiency air filter. And when we test we place a lot of importance on filter efficiency. A higher efficiency means more of the smaller particles collect in the air purifier. This is what you want in a good air purifier. As a result, efficiency is it’s own category in our rating system. We won’t bore you with the details but you can learn more about the ISO standard for HEPA and ULPA filters. In room air purifiers, we see some air purifier filters referred to as a HEPA-type filter. This means the filter is like a true HEPA filter in design but has a lower efficiency. 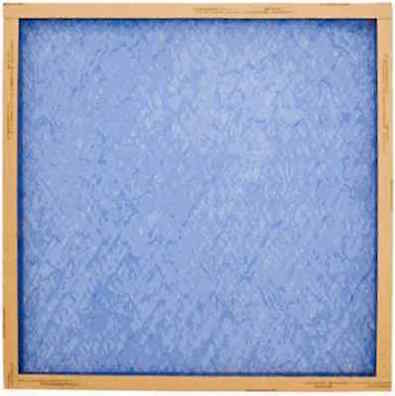 A HEPA type filter is not rated to remove the smallest airborne particles. It can be good if you care most about removing big particles like pet hair. As a side note, an area of future interest for us is in testing HEPA vacuum cleaners. I use a Dyson vacuum cleaner and it has a HEPA filter however in an initial test the air coming out is not as clean as I hoped (worse than the air before turning it on). Although it was better than the old vacuum we were throwing away. Some models we plan to test include Bissell, Hoover and the Miele HEPA vacuum cleaner. While listed as a true HEPA, it performs as a lower efficiency particulate air filter. Some of this could be from dust particles that possibly by-pass the filter. That’s a project that intrigues me, but back to air filters. The chart below is the ratings scale. See the column for 0.3 to 1 microns. Below a MERV 13 the filter does not remove any of the particles. You need to be at a 14 to even get to 75% removal. And 75% is not a good number if you have allergies or asthma. A HEPA air purifier is the best solution to improve indoor air since it can achieve the performance for moderate to high allergies. As well as other indoor air issues. HEPA air filters are rated best due to their ability to remove a high percentage of particles. They do this with each pass of air through an air purifier. If you suffer from allergies or asthma a HEPA air cleaner is always the best choice. Its filtration removes the tiny particles that trigger an allergic reaction. We tested it. And found the particle removal performance to be much better with a HEPA filter. This is especially true the more surface area and HEPA filter media in the filter as well as the smaller the filter fiber openings. It’s like having a bigger, better net to catch more. Yet when we test other technologies like the ionic air purifiers or electronic systems the result is not close. Rather than high performance for small and large particles we observe the electronic air cleaners remove 30-40% less. In addition, HEPA air filters often improve performance over time. We saw that as the filters became dirty, they removed a higher percentage of particles. In contrast, a problem with filterless technologies is the plates become dirty. When we tested them after a few days of use we saw a decrease in performance. As a result of the dust building up, the ability to collect particles is less for a filterless system. Finally, a HEPA filter does not generate ozone. The state of California Air Resources Board requires all air purifiers to be at a safe ozone level. Because of this standard most air purifiers are now HEPA based. HEPA filters are designed to remove airborne particulates. A HEPA filter can remove tiny particles include smoke particles however a HEPA filter is not effective in the removal of cigarette smoke smell or other odors. An odor is from gases and they are too small and will pass through the HEPA fibers. To effectively remove smells you will need a material like activated carbon. Check out our article on carbon that includes how to activate carbon. Another consideration is the noise level in moving enough air for a large room. A high quality HEPA filter like a MERV 17 or 18 rated filter will have more pressure drop or air flow resistance. So, to overcome this you will want to make sure the motor is up for the task. You need to replace the filter. So, when buying the air filtration system you may also consider the replacement filter. HEPA filters are not washable. In some cases you can clean them with a vacuum. In most cases, if the air purifier has a pre-filter you can either brush off or vacuum carefully to remove large pet hair and dust. As much as you don’t want to hear this, when the filter is dirty you are better off getting a new HEPA filter replacement since it is hard to completely clean a HEPA filter. Noise level can be subjective. Some people comment positively on the white noise effect. But some do not like the noise level on the higher fan speeds of a HEPA air purifier. The noise level measurement is decibels (dB). They provide a good reference point when comparing HEPA air purifier models. Since the HEPA filter media is dense it can generate various levels of white noise. Running a HEPA air purifier on a low fan speed will result in lower noise levels. In some cases silent. However you also get a less air flow with the lower fan speed. Congratulations! If you have made it this far you have a degree in HEPA filters and efficiency 101. A high filter efficiency is not enough. Because the air purifier needs to clean the air in your room. Or your whole house. So, to do this you need good air flow. If the air flow is poor you will not get the clean air you expect. 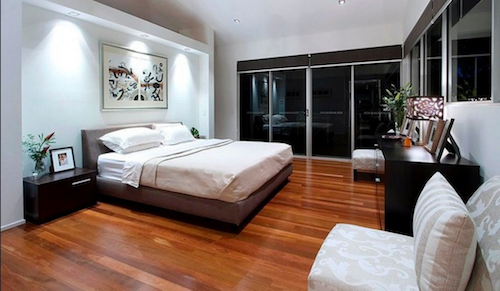 This really comes into play if you are looking to clean a 30 sq ft room vs a 3000 sq ft house. We see this in testing. This is why we have a rating category for air flow. It’s the combination of filter efficiency and air flow that produce the results. The Association of Home Appliance Manufacturers created a metric for this. This is the Clean Air Delivery Rate and we explain the CADR rating here. On that page we explain how to make sure an air purifier can fully clean the square footage of your room or home. In the US, CADR is measured in cfm (cubic feet per minute). In Europe and Asia, the CADR is measured in cubic meters per hour since rooms there are measured in square meters. So, it’s important to make sure you are comparing the correct units. As a reference point, 1 cubic foot per minute is equal to 1.699 cubic meters per hour. Therefore, a 100 CADR in the USA is the same performance as 170 CADR in Europe or Asia even though they could clean the same 400 square feet (70 square meters) room every 15 minutes. As a result, it is important to know which units of measure you are comparing. The rating system we use is similar. By this I mean we factor in air flow and filter efficiency. The difference is we give air purifiers more credit for achieving a higher efficiency. This is necessary for anyone with allergies or asthma. Our rating scale also differs in that we include ease of use and customer reviews. 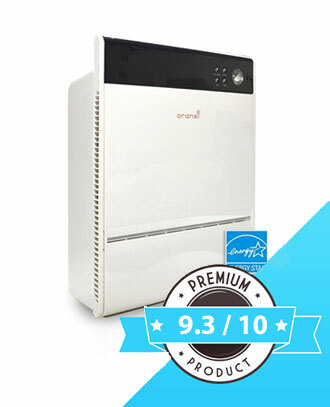 We have learned a lot in our testing and produce the results in a ranking of the best air purifiers. For cleaner air in a room, nothing comes close to a room air purifier with a large true HEPA filter. Another option is the whole house air purifier. We go into a little detail here. Or you can consider a commercial air purifier. These cost about $1,000 or more and deliver better than HEPA performance. We have done initial indoor air quality testing in a bedroom. Here we compared a room air purifier with a whole house air filter. The particle count with the HEPA air purifier was much less than the whole house air filter. There are two reasons for this. One is the efficiency of the HEPA filter is higher. And second, the room air purifier was sized properly for the square footage and had more air flow in the room. However, the downside to the room air purifier is that it only cleaned the one room. You are limited to the sq ft size of the room. Finally, I will share an interesting finding. Within 15 minutes of turning on or off the air purifier, the indoor air quality changes fast. We see this with the particle counter. In the air purifiers with a true HEPA filter we could get the airborne particle count down to almost zero. Yet, when we turn it off, the particle count increases significantly in just 15 minutes. This change in air quality is from a mixing of air from other rooms. As the air conditioning or HVAC system circulates air through the air ducts it pulls in air from other rooms or outside air. A HEPA filter is amazing when it comes to particle removal. However, there is one area where it fails to deliver. This is in the removal of odors. An odor is a gas. The particle sizes are too small to catch in the fibers of the HEPA filter. If you need fume or odor removal in addition to particles you will also need a carbon filter or some type of gas filter element. We go into this in some detail in the article activated carbon air filter. This also applies if you live near a highway and seek the removal of air pollution. In a nutshell, activated carbon absorbs gases. Not all gases but most of them. It is a general gas and odor remover. If you need cigarette smoke removal then a HEPA filter and carbon filter will work well. This is also a good solution for mold or mildew where this is a light odor. One gas where carbon is not so good is formaldehyde. This is given off from building materials, carpeting, furniture and flooring. To remove this you need a specialized gas filter media. An example of this is a substance called potassium permanganate. Anyways, if you have this issue please check to make sure the gas filter can address your concern. UV-C light is sometimes used in home air purifiers. Again, this is an area where we cannot test. If you want to learn more about ultraviolet light be sure to see our write-up on uv air purifiers. Some HEPA filtration systems include negative ions as an additional feature set. 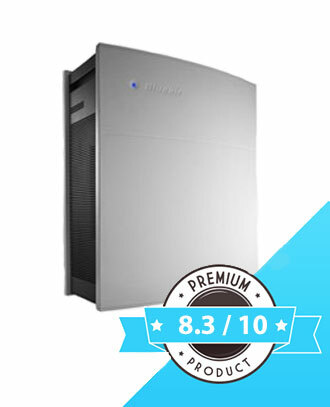 An example is the Blueair Hepasilent air purifier. We go into ionic air purifiers here. Although, this page is more about air cleaners that use ionization as the main technology. Not air cleaners that that have a true HEPA or HEPA-type filter. Plasma and photo-catalytic oxidation are two other technologies although not common in a home air cleaner. Similar to carbon removing odors, electronic devices like PCO, plasmawave technology or plasmacluster technology that remove odors are hard for us to assess. The content for this page is for home air purification systems. Some solutions for air cleaning in a commercial environment is a device called an air scrubber. This is often an installed into the air ducts of a commercial building. In some cases portable commercial air purifiers can be used. A carbon air scrubber is for heavy cooking odors or tobacco smoke removal in a restaurant or large commercial space. This is also referred to as a smoke eater. In this post we covered the use of the HEPA filter, what it is made of, where you would use and what to look for. If you want a solid solution to improve your indoor air quality then a HEPA air purifier is the best choice. The better HEPA air cleaners cost more than $200. HEPA is short for High Efficiency Particulate Air. This means HEPA filtration therefore uses high efficiency filters to clean the air of particulate matter. This means airborne particles like pollen, dust, mold spores and pet dander. In this article we show how a HEPA filter works. The MERV and CADR rating system for filters was explained as well as the pluses and minuses of a HEPA system. We also explain the air filter rating system that we developed. We test many types of air purifiers. Most of all, HEPA filters consistently outperform the others. The reason is they remove more of the smallest particles. Some other filters you may see include a carbon pre-filter, activated carbon or ultraviolet light. Finally, they do not introduce indoor air pollution such as ozone. We are engineers and take a technical approach to evaluating air purifiers. It's fulfilling to help others. We do our best to present information on air purifiers in an easy to read format.